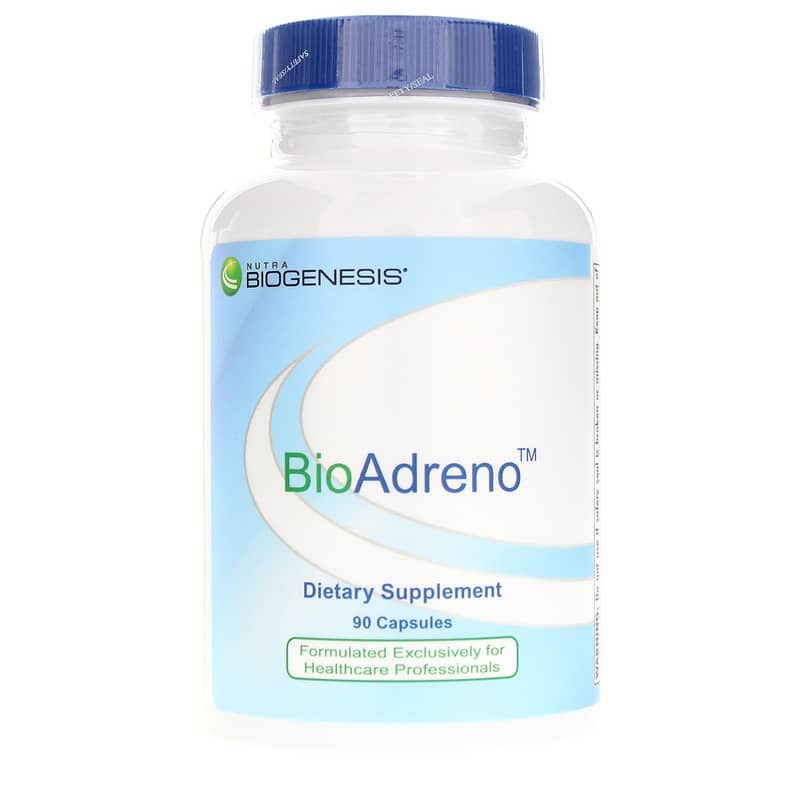 Bio-Adreno is designed to supply the nutrients necessary to support proper functioning of their adrenal glands. Pantothenic acid (vitamin b5) is essential in many enzymatic pathways involved in healthy adrenal gland function. Stress and the fight or flight response may deplete adrenal gland reserves. Pantothenic acid has been used successfully for decades to assist individuals recover their health after periods of prolonged or traumatic stress. Ascorbic acid (vitamin C), like pantothenic acid, is well known for its ability to support healthy adrenal gland function. Vitamin C is an anti-stress nutrient in every regard. Adrenal cortex (glandular concentrate), is of the highest quality around. BioGenesis choice of glandulars has been selected carefully with quality and health in mind. BioGenesis adrenal cortex comes from freeze dried, range grazed bovine sources. Other Ingredients: gelatin capsule, silica. 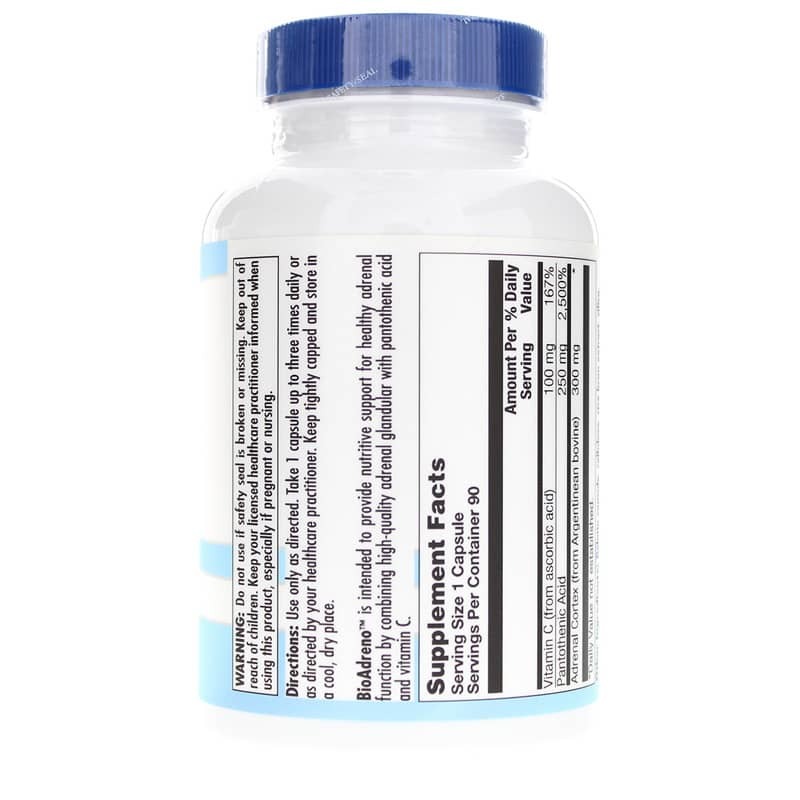 Adults: As a dietary supplement, take 1 to 3 capsules per day or as recommended by a healthcare professional. This is a high quality product. I have never felt better! I will definitely be ordering more and would highly recommend this product. Great product! I noticed a considerable change within the first week of taking this product. I have been using this product for over 3 months now! This has been an excellent product for me. 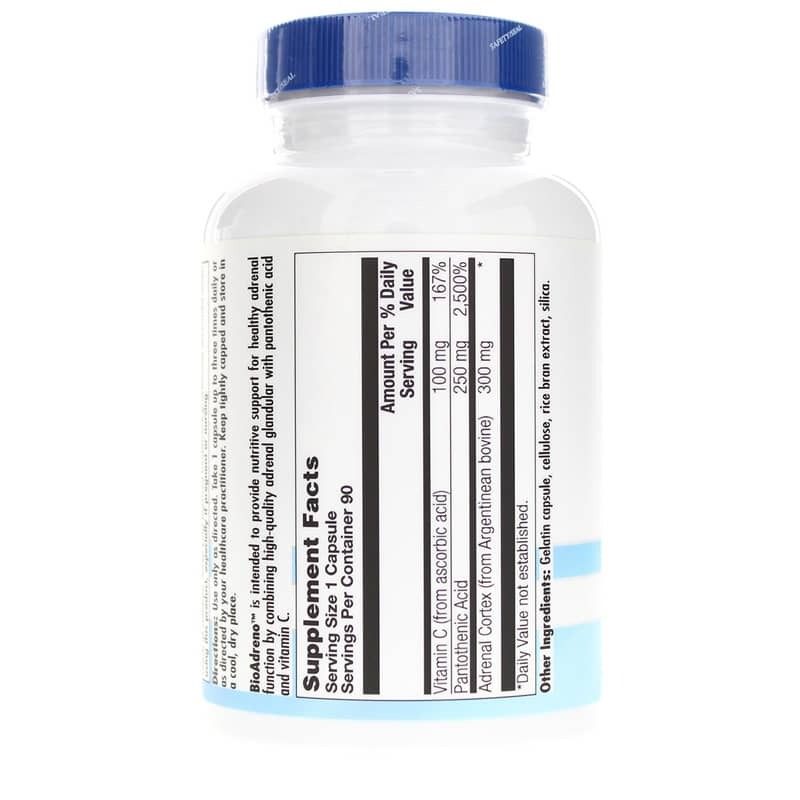 I've tried other adrenal supplements, but nothing works as well as BioAdreno. I feel a considerable difference in my vitality. I've never been good about taking my supplements, but I don't forget BioAdreno. Excellent quality adrenal supplements from BioGenesis; Natural Healthy Concepts provides on-time delivery with no problems! High quality product at a great price. I would highly recommend and will definitely order again.